On our trip from Wassaic to Valhalla we had to change trains here in Southeast, although this photo was taken at a later date. The train in the photo had just arrived from Wassaic. This station is the last in electrified territory (third rail is used) and marks where the line goes from two tracks to one, so most trips require a change of trains here outside peak hours. 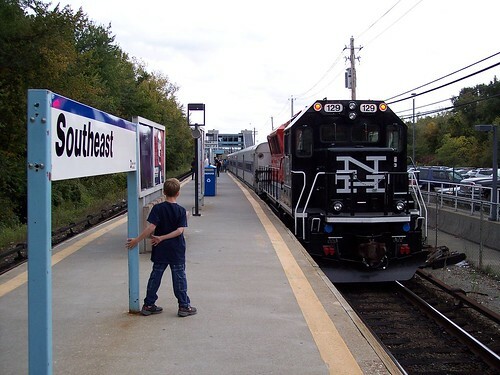 The station was opened when Metro-North electrified the line from North White Plains in the early 1980s. Originally the station was called Brewster North.